For those who love Joss Whedon, the man needs no introduction. Of course, for those who don't, I don't expect this book will be on their Christmas list. He is certainly a man worthy of investigation, and his story is more than the story of one man, or one extremely influential television series. The 25 or so years of Hollywood film and television also profiled in Pascale's book, albeit in relief, are fascinating years – a time in which our most basic expectations about the nature and status of television and film have been more or less inverted. Joss Whedon is a big part of that story, one that is still being written on large and small screens continent-wide. His narrative ambition and skill revealed (and continue to reveal) so much of the still nascent potential of television storytelling, and his focus on character and relationships has carried over into his current leadership of what will likely be the most profitable – and certainly the noisiest – film franchise in recent decades. Pascale begins Joss' story at the beginning, actually before the beginning, with a brief overview of the careers of Tom and John Whedon, Joss' father and grandfather, who each had their own role to play in the history of American television. This focus on family life and relationships leads to the most interesting elements of the book (especially the impact of his mother's unexpected death from a brain aneurysm in 1992), and the early accounts of his work on Rosanne and his scandalously uncredited work on the screenplay for Speed are fascinating, providing insight into both the man and the particular frustrations of his chosen career. I had no idea, for example, that Nathan Fillion (Firefly, and now Castle) had auditioned for the David Boreanaz role of Angel. 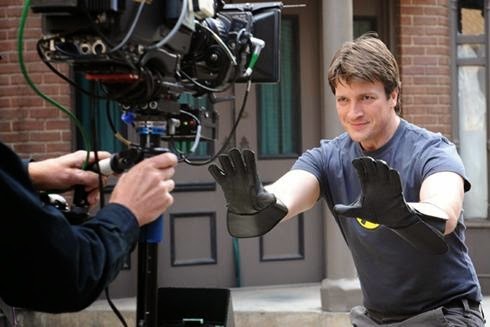 (Fillion also contributes a brief but beautiful Foreword to the book.) But, once the story shifts firmly into the Buffy era and Joss' career takes over the story, those aspects fall deep into the background. At times, Joss' voice and Pascale's seem almost at odds. The section on "The Body", the groundbreaking Season 5 episode where Buffy and her sister Dawn deal with the sudden death of their mother, is perhaps the best example. Whedon (in the DVD's Director Commentary) expresses his surprise how consoling many viewers have found that story, especially because he rather pointedly tried to keep all forms of consolation out of the script. In the end, it is perhaps precisely because the story is deliberately absent of any consolation or catharsis, because of the stark honestly of the episode – in refusing to offer any platitudes or simple lessons – that viewers in comparable situations find it consoling and cathartic. The episode, one of the series' most powerful and effecting, comes like a voice from outside, touches the viewer and says "your experience of death is not simply yours – it is shared by others every day." Since I am confident that Whedon knows this (Joss has already expressed his own particular resistance to the dangers director's commentaries, in song no less. ), it is unfortunate how the book frames it, by conflating the story's conception by its author with the story's reception by others – as a telling – that crucial nuance is lost. There are few TV creators who inspire such love and devotion as Joss Whedon. There is a sincerity and intimacy to Joss and his projects (epic ones like Buffy, and smaller personal ones like Dr. Horrible and Much Ado about Nothing) that leads his viewers – myself included – to feel that to know his work is to get to know him: the way to love the man is to love what he loves, from his comic book nerdiness to his passion for the little guy – or gal – who finds the strength to slay the dragons that haunt them. Pascale's book is written for those among us who know that feeling, and yet for those same people this book might be unnecessary. Joss Whedon has never been one to shrink into the background, and has always been quite candid in his interviews. (For example, on the subject of Whedon's famously strong female character, Joss himself provided the most powerful answer back in 2006, and the biography can do little better than quote from it.) 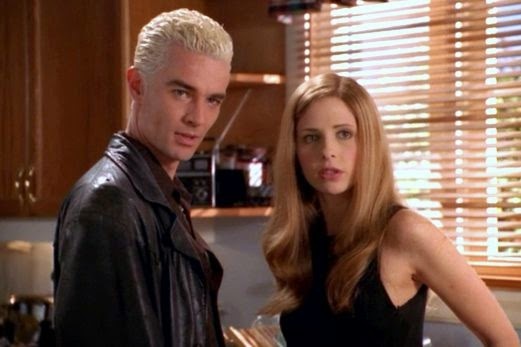 As Pascale notes, he has been visiting and contributing his own fan-boards online since the beginning of Buffy. (The biographer herself was an early member of just such a fan-board.) 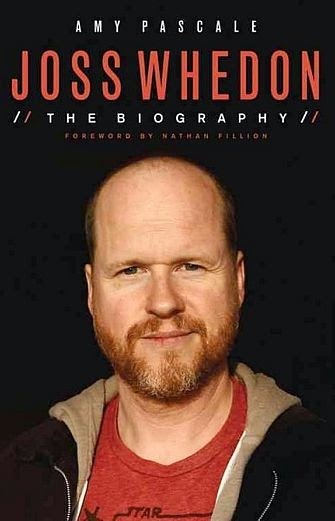 The portrait that emerges in Joss Whedon: The Biography isn't ultimately very different from that one, serving only to reinforce a persona that we all know, and admittedly already love. "I think about the old days," Basinger says, "ancient days, where there were men who were created as storytellers .... They wandered the Earth, and they told stories. .... [T]hey were alive just to be there to tell stories. ... Those of us who can't write them, create them, tell them, our job is to consume them. And we die if we don't have them. And he feeds us. It's a kind of sacrifice to be the storyteller. And Joss is the modern version of that character." This would be far less alienating a conclusion had Pascale's story given any sense of a sacrifice on Joss' part. Struggles with executives in suits – be they TV or film – pervade that story. And Whedon rails against them, with varying success and more often failure. But at no point does it not seem like he's having the time of his life. Executives might not get him, but fellow writers, actors, critics, and fans never abandon him, supporting him almost without gaps for almost two decades. That's the man who his peers and his fans respect and love, that's the person who has long fascinated me, and that's the story I wish Pascale could have told.